Taylor Asher came to Reinhardt University with a determination and will to succeed as she was already making her first steps toward her dream of being a physical therapist. Grades were always important to Asher – she knew they would have to be great to get into a good physical therapy program. Upon her graduation from Reinhardt in 2017, she continued on to graduate school while working at the Atlanta Orthopedic Institute in Buckhead for Dr. Raj Pandya. 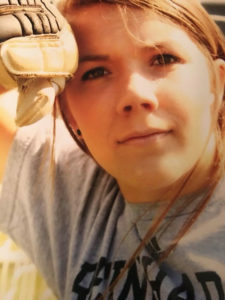 Since then, she has been diligently working on her Doctorate of Physical Therapy at Brenau University and aspires to be a physical therapist in the military. Down the road, she would like to transition to physical therapy work with children and athletics. Asher is three semesters into this rigorous journey and is incredibly thankful for the way in which Reinhardt prepared her for her time at Brenau. She anticipates graduating in May of 2021 and taking her National Boards Exam shortly after. Asher majored in biology with a minor in math, while also playing on the women’s soccer team all four years of her college career. Her experience on Reinhardt’s soccer team not only led to winning conference every year and going to the national tournament, but also gave her a sense of leadership and hard work. She was also a member of the TriBeta Honor Society for biology majors, as well as the Alpha Chi Honor Society. All of these experiences at Reinhardt prepared Asher to persevere, and not give up on her dream.